Notas dadas pelos hóspedes depois de sua estadia em: Silver 2. The apartment is realy big and comfortable. The location is perfect according to the city center and the "reception" is in 6 min. walk distance. It is also very warm and clean. The only recomendation to the future visitors is that they need to reserve a parking in advance, because of the limited parking spots in the city center. Most of them are only for residents. The kitchen is very well equiped and ready for preparing a breakfast or even a dinner. WiFi also works good. Well done City centre apartment! 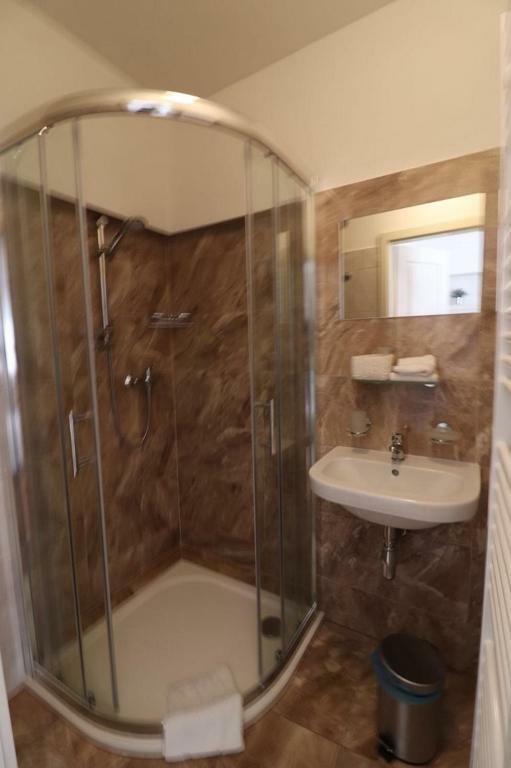 All the facilities that you would want in an appartment were there, good kitchen, large fridge, good modern washing machine, small but well equipped bathroom. Large bedroom. The apartment well equipped. Very comfortable, clean, the beds seem to be new. The location is perfect. Everything is near, there is a small shop in front of the house. Our host was kind and helpful, she always response my phone call. Location. 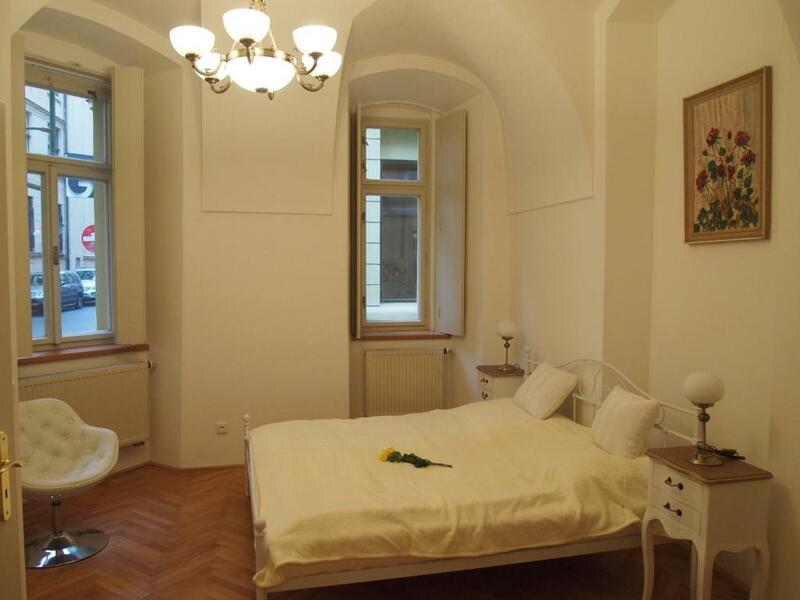 Nicely renovated room in an old building. The apartment is in a fantastic location. A bit tricky to get to by car (due to roadworks) but it has safe, off street parking in the city centre. The rooms really surprise with their size and attention to detail. Would love to spend a week here. Location is great. Apartment had most of things that we needed: kitchenware, bathroom accessories. Great location in historic city. New apartment in old building. Good kitchen facilities. Garanta um preço incrível para Silver 2 - avaliado como nota 8,4 pelos hóspedes recentes. 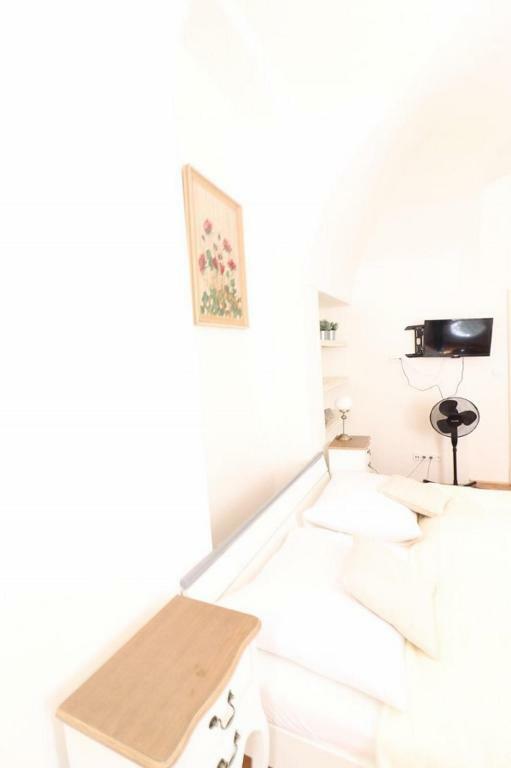 Situado a 300 metros da Ponte Carlos, em Praga, o apartamento City centre oferece acomodações com Wi-Fi gratuito e área de estar. Todas as unidades possuem TV, cozinha totalmente equipada com lava-louças e banheiro privativo com chuveiro e amenidades de banho gratuitas. Um forno e chaleira também são fornecidos. 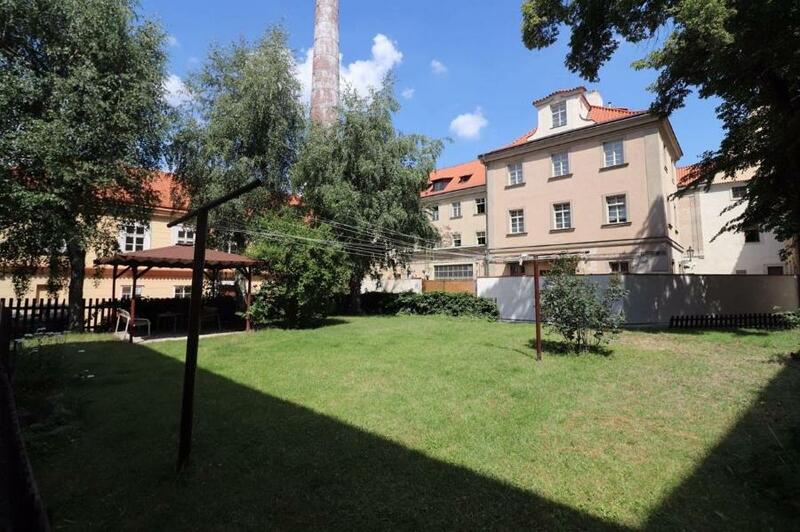 O Relógio Astronômico de Praga fica a 6 minutos a pé do apartamento, enquanto a Praça do Centro Histórico está a 600 metros da propriedade. Silver 2 tem recebido hóspedes da Booking.com desde 20 de jun. de 2016. Quando você quer se hospedar no(a) Silver 2? 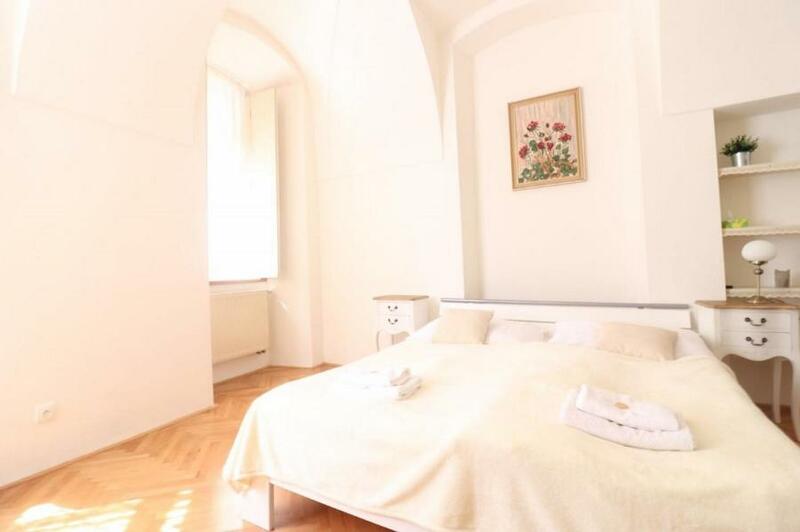 Located in the city centre of Prague and set in a historical building, City centre are a self-catering accommodation with free WiFi access available. Guests can also enjoy city views from the property. Unit includes flat-screen TV with satellite channels, a several sofas and a bathroom with a massaging bath. 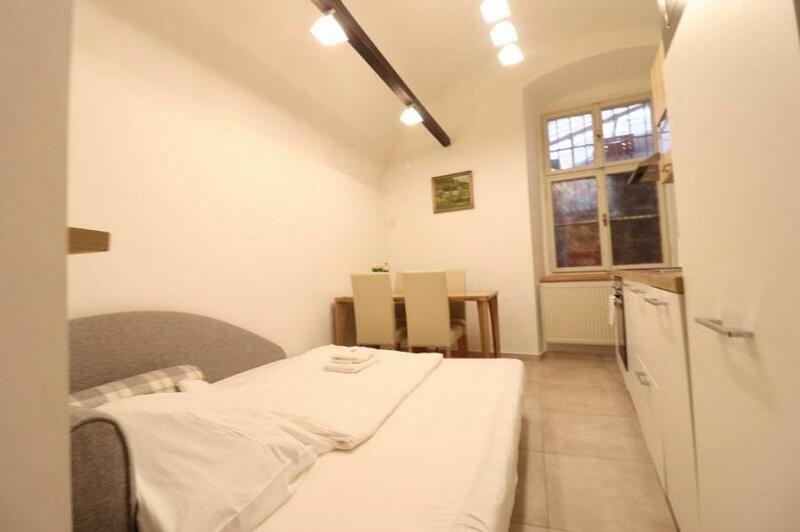 Apartment also includes iron and a washing machine with a dryer. 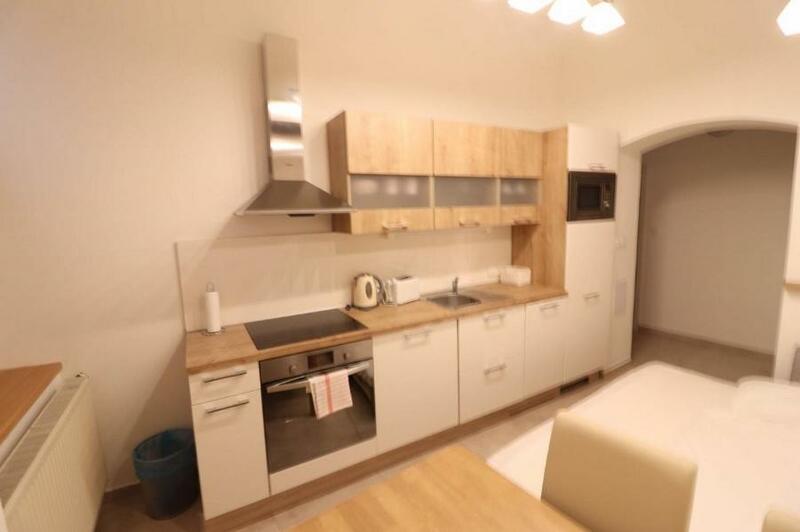 Kitchen which is equipped with microwave, oven,cooking hobs, fridge with freezer, crockery, coffee machine and other necessary equipment. Cleaning during the stay can be arranged upon request and for a surcharge. 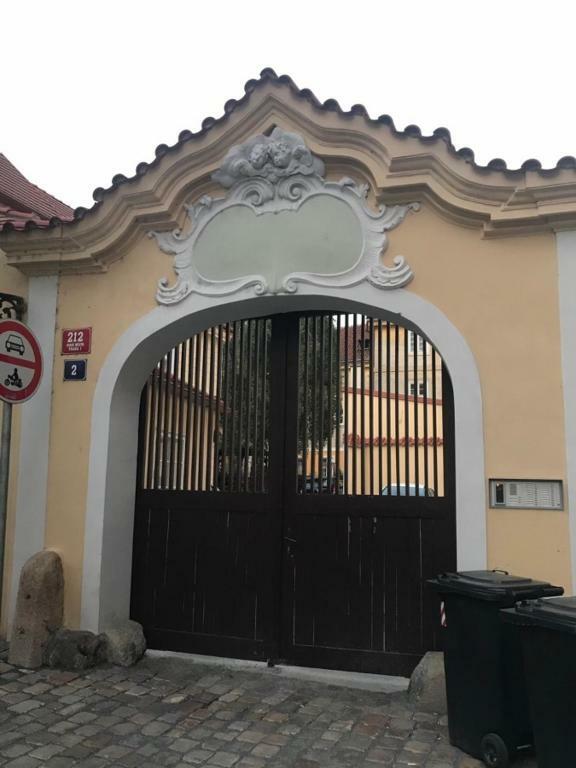 The property is only 300 metres away from Smetanovo nábřeží, where you can see Vltava river and go on a boat ride, and 550 metres away from Charles bridge. You can also visit Old town square and Charles square within a 11-minute walk and Wenceslas Square within a 15-minute walk. Vaclav Havel Prague Airport is located 15 km away. City centre apartment is located near several shopping destination. My shopping centre is located within 400 metres, Na příkopě street, Palladium shopping centre and Parížska street are located within 15-minute walk. Many restaurants and dining choices are located in the neighbourhood. City Centre apartment is nearby several bars and night clubs. Pivovar Narodni is located within 2 minute walk, Karlovy Lazne and Rock Cafe are located within 5 minute walk. Public transport is very accessible from City centre apartment. 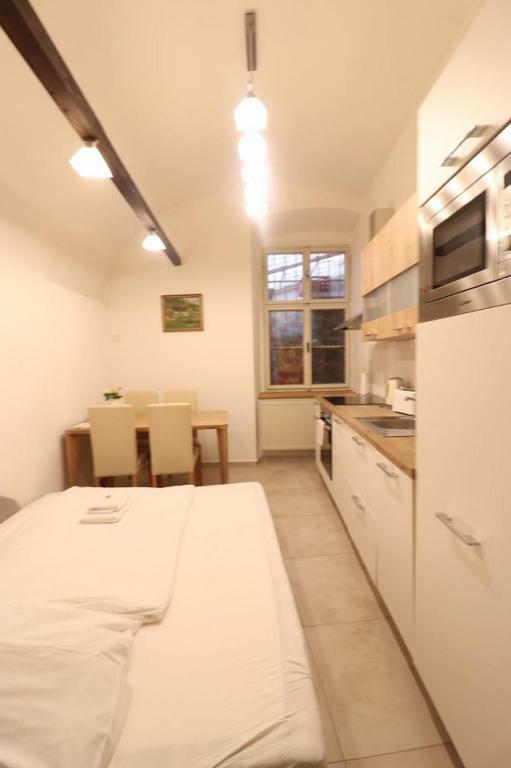 Tram station Narodni divadlo is located 160 metres from the apartment, Metro Narodni Trida is located within 6-minute walk. Both can be used to travel across Prague and to reach desired locations. Prague 01 is a great choice for travellers interested in history, architecture,food and shopping. Bom saber Silver 2 aceita pedidos especiais - adicione no próximo passo! Um depósito caução de EUR 150 (cerca de BRL 663.11) é exigido no momento da chegada. Este depósito é totalmente reembolsável 7 dias depois do check-out, desde que não tenham ocorrido danos à acomodação. Silver 2 aceita estes cartões e se reserva o direito de fazer um bloqueio temporário em seu cartão antes da chegada. Os hóspedes devem fazer silêncio entre 22:00 e 06:00. Por favor, informe Silver 2 com antecedência sobre seu horário previsto de chegada. Para tanto, você pode utilizar o campo de Pedidos Especiais ao fazer a reserva ou entrar em contato diretamente com a propriedade usando os dados informados na sua confirmação de reserva. Por favor, observe que esta propriedade não possui recepção. A entrega das chaves é realizada em: Cafe Bar Archa, Naprstkova 7, 11000 Prague 1. 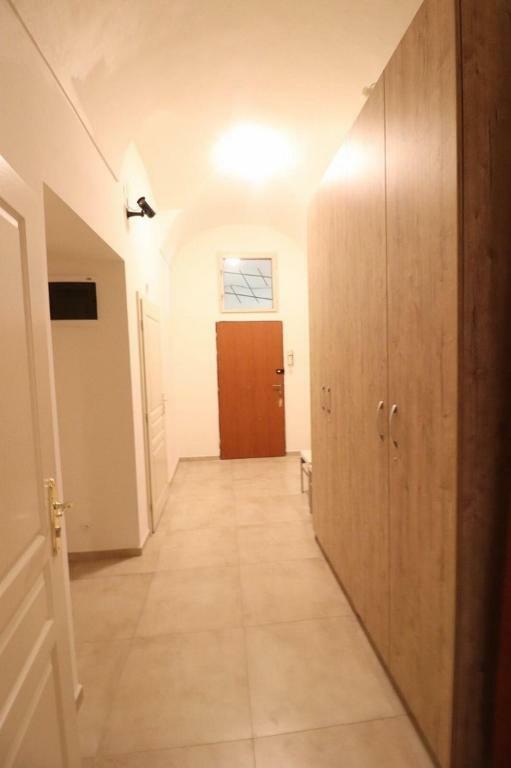 Um depósito caução de EUR 150 é exigido na chegada. Isso é equivalente a 663.11BRL. O valor deve ser pago via cartão de crédito Você deverá ser reembolsado dentro de 7 dias após o check-out. Seu depósito será totalmente reembolsado via cartão de crédito, sujeito a uma inspeção da acomodação. Lençóis e fronhas ásperas. Travesseiros desconfortáveis. Aluguei em um endereço e quando fui buscar as chaves era em outro lugar 300 metros do local indicado no booking. Não possui a/c.